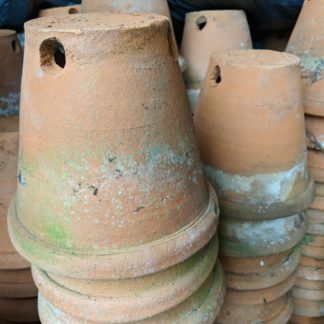 Extremely rare and unusual clay pots. Bags of character and one off pieces, perfect for the enthusiast or specialist grower. Believed that these pots hold more moisture so slightly less free draining than usual. Very decorative and unique talking point.